DNF Security, a major provider of dependable, mission-critical IP video surveillance solutions, just recently announced a partnership with Arecont Vision, an industry leader in IP-based megapixel camera technology. DNF Security has provided a high-performance, scalable video storage appliance for the Arecont Vision MegaLab that is to be used for integration, certification and testing of Arecont’s products as well as the company’s customer applications. DNF Security’s video storage unit will be integrated at MegaLab with a plethora of leading video management systems (VMS) as well as Arecont Vision’s complete line of IP network megapixel cameras. 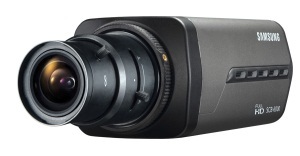 This line includes the 1.3 MP, 2 MP, 1080p, 3 MP, 5 MP, 8 MP, 10 MP and 20 MP resolution cameras. The MegaLab allows Arecont Vision’s technology partners to test their equipment with Arecont Vision cameras. In DNF Security’s case, the facility allows the company to extensively test its products in order to reach the limitations of their own system with Arecont Vision cameras. DNF Security can then verify compatibility with multiple VMC, in multiple configurations and compare performance against the competition.